Alabama Adult Congenital Heart Disease Director Mark Cribbs, M.D.In the last decade, the number of adults living with congenital heart disease began exceeding the number of children living with congenital heart disease, even as treatments improved. That means more and more people are in need of adult care. Congenital heart disease is a problem present at birth that involves the structure of the heart, its valves or blood vessels. It is the most common type of birth defect, affecting about one in 100 babies. Common problems associated with ACHD include difficulty with exercise, heart rhythm problems (arrhythmia), endocarditis (infection of the heart’s inner lining, often in the heart’s valves), heart failure, sudden cardiac arrest, stroke and premature death. Cribbs says there are many different types of congenital heart disease, and all but a few can cause serious long-term problems, or worse, if not evaluated in adulthood and monitored and treated as needed. In 1940, the survival rate of individuals to 18 years of age with congenital heart disease was 20 percent. Thanks to significant medical advances, surviving into adulthood is now the norm rather than the exception. Today, more than 95 percent of the people treated for congenital heart disease live well beyond the age of 18. Because of these advances and the resulting longer lifespans of patients with ACHD, the American Heart Association and the American College of Cardiology recommend people with ACHD receive regular follow-up care from a physician specializing in these conditions. ACHD specialists have unique experience and knowledge most doctors do not have. Modern treatments are very effective, so ACHD specialists are able to focus on helping patients safely enjoy a more active lifestyle. The Alabama Adult Congenital Heart Program partners with cardiologists and primary care physicians to care for this growing patient population at convenient clinic locations throughout the Birmingham area and in Huntsville and Montgomery. 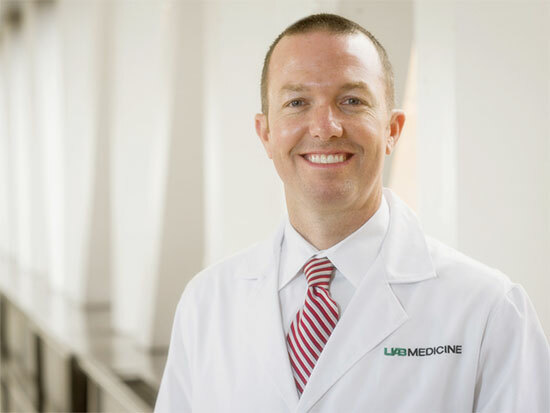 The team combines the expertise of physicians and staff from several UAB Medicine specialties, including pediatric cardiology, adult cardiology, cardiovascular surgery, cardiovascular anesthesia and maternal fetal medicine. UAB Medicine is the only health care entity in Alabama with the full range of expertise necessary to manage and treat ACHD.